Figures I wouldn't update on 420. Let's do something kind of related to it. Munchies! Novelty foods really kicked off in the early '90s for Canada because we were starting to get all of the delicious goodies from the USA because of a little thing called the North American Free Trade Agreement. All of those sugary, fatty foods came to clog our arteries, and we were more than happy to let them. Some of their most '90s kitsch commercials filled our fertile young minds with dreams of candy and sweets the likes of which we had never seen! We got those Pop Tarts with the purple and neon blue frosting (you know the ones I'm talking about, the really good kind). Our consumption of Doritos increased tenfold. At last we could out grease our American goon brothers in contests of who had the greasier Cheetos fingers! What a time to be alive. 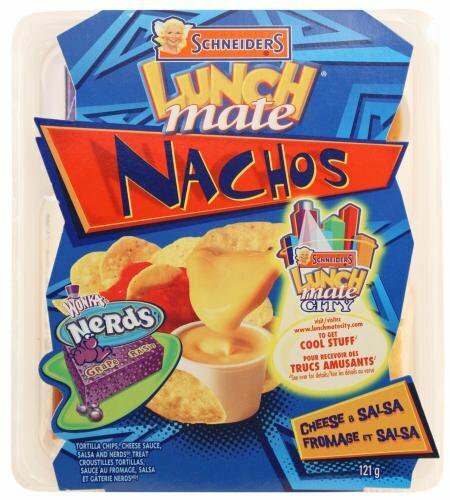 If you were a kid in grade school, you probably ate Lunch Mates. They came in a variety of "meals" including cheeseburger , pizza, cheese and crackers, tacos, nachos, and many many more. I was never allowed the cheeseburger one and for good reason - it looks absolutely abhorrent. It seems the '90s were truly the breeding ground of wacky foodstuffs that make you go "oh my god how can you eat that". I'm not sure how so many of us made it out of grade school without crippling diseases from all this toxic waste we used to eat. Delissio pizza (DiGiorno in the USA) didn't come to Canada until '99 but from that year onward, birthdays and other social gatherings were never complete without their delicious array of rising crust pizzas. You had better be damned sure it wasn't delivery, it was Delissio. It was in this glorious time that I discovered Swanson dinners as well. The chicken nugget ones would be one of my favourite easy to make dinners until I graduated to the Hungry Man dinners in 2002, which I happily snacked right up to the point when they changed the recipe. Gone were my Buffalo-style chicken strips and fries, replaced by some low end imitation with absolutely rank cheese fries or something. 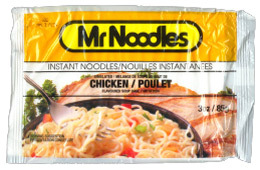 Maybe it's for the better because I'm pretty certain one of those and a pack of Mr. Noodles would be enough to kill a man if ingested in one sitting. Okay, until next week...don't give yourself a heart attack if you decide to track down all this nostalgic sludge!